Help Documents - Version 5 Event Revenue StreamsHow do I set up Lead Retrieval options? 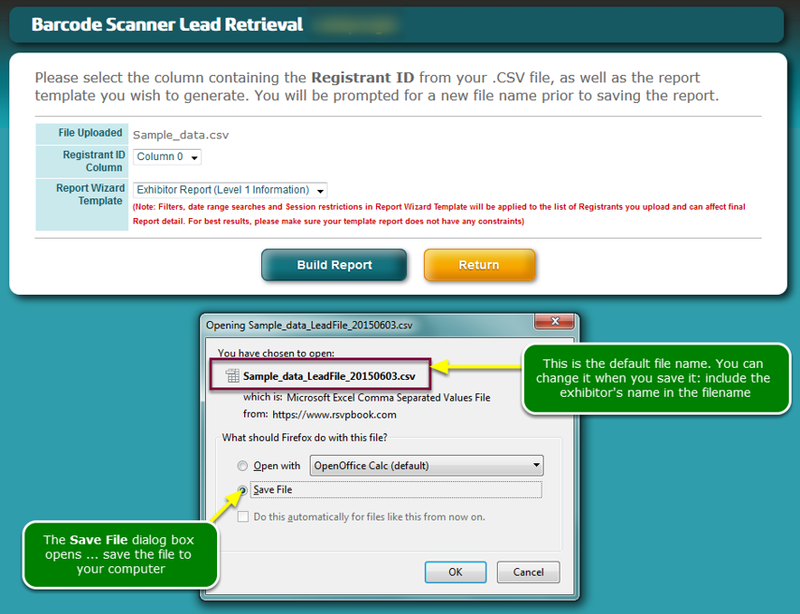 Lead retrieval is a means for capturing sales leads generated at an event, trade show, or conference. Lead retrieval systems give exhibitors the ability to measure results against sales or event objectives and by doing so, justify the investment in time, energy and budget to exhibit at your event. 1. What's the big picture look like for lead retrieval? 2. What is a .CSV file? A .CSV file (Comma Separated Values) is a plain text file, containing 1 or more columns of data that are separated by a comma, space, double quotes, single quotes, pipe (|), or any other character. A typical barcode .CSV file will look something like the list below, without the bullets. Each row is a registrant ID (the contents of the barcode). 3. 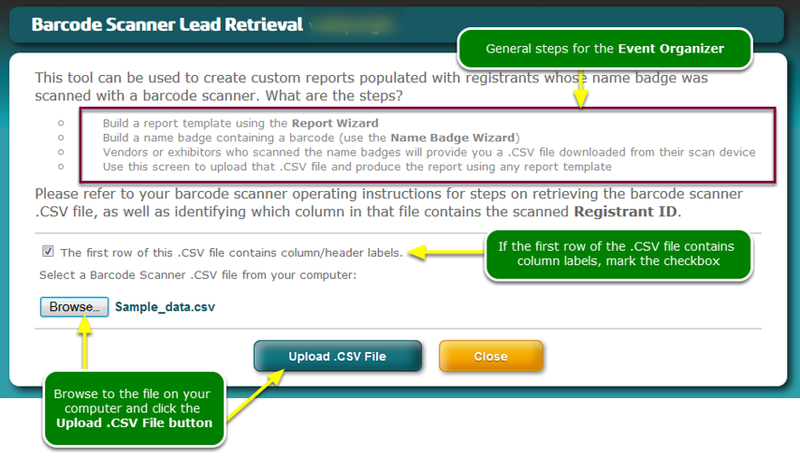 What are the Event Exhibitor's steps for using lead retrieval? 4. 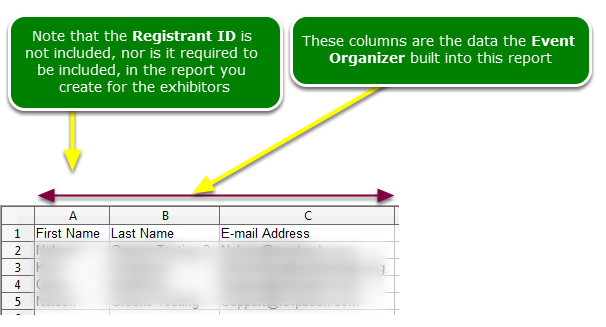 How does the Event Exhibitor order the reports? There are two ways the exhibitor can order reports. 5. What are the Event Organizer's steps for using lead retrieval? 6. Where and how do I import the .CSV file? Open the Barcode Retrieval tool. Where is this tool located? After you save the file to your computer in step 6.3 above, you can email it to the exhibitor as an attachment. Alternatively, if you want to keep all of your event's collateral together, you can upload the file to the File Cabinet and send it to 1 or more exhibitors using the Email Wizard. Prev: What are possible revenue streams for my event? Next: How do I add Sponsor Logos to my event pages?